TOKYO, October 18, 2011—Canon Inc. and Canon Marketing Japan Inc. announced today the achievement of two major manufacturing milestones: combined production of film and digital EOS-series single-lens reflex (SLR) cameras surpassed the 50-million mark in September this year, and the EF series of interchangeable lenses is expected to reach the 70-million-unit milestone later this month. Production of Canon EOS SLR cameras first started in 1987 at Canon Inc.’s Fukushima Plant (now Fukushima Canon Inc.), and later moved to Oita Canon Inc. and Canon Inc., Taiwan; and most recently Nagasaki Canon Inc. in 2010. In 1997, the EOS series celebrated its 10-year anniversary in addition to the 10-millionth unit produced, and in 2003 passed the 20-million mark. 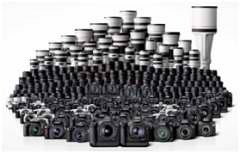 Following the rapid spread of digital SLR cameras, Canon went on to reach 30-million units produced during the series’ 20-year anniversary in 2007, followed by the 40-million mark in May 2010. After a short one year and four months, the EOS series has now come to celebrate its 50-millionth camera produced. The EOS series, which stands for “Electro Optical System” and also carries the name of the Greek goddess of the dawn, was first introduced in March 1987 as a new generation of AF SLR cameras that incorporate the world’s first electronic mount system, achieving complete electronic control not only between the lens and body but throughout the entire camera system. With the key concepts of high speed and ease of use, EOS-series cameras, including the top-of-the-line EOS-1 professional model released in 1989 and the popular compact, lightweight EOS Kiss (EOS Rebel XS or EOS 500 in other regions) introduced in 1993, actively incorporate innovative technologies and have gained acceptance from a wide range of users. Following the introduction of the EOS D30 in 2000, when the spread of digital SLR cameras was in full swing, Canon developed such advanced technologies as its proprietary CMOS sensors and high-performance DIGIC digital image processors, as well as an extensive lineup of EF lenses in an effort to fulfill the company’s new key concepts of high speed, ease-of-use, and high image quality. Currently, the company offers a broad product lineup that serves the needs of all levels of users, from entry-level enthusiasts to advanced amateurs and professionals. This lineup has further expanded with the addition of the new high-performance EOS-1D X, Canon’s new flagship digital SLR camera, scheduled to go on sale in late March 2012. Production of interchangeable EF lenses for Canon EOS-series AF (autofocus) film cameras first began in 1987 at the company’s Utsunomiya Plant, and has since expanded to a total of four manufacturing centers, including Canon Inc., Taiwan; Canon Opto (Malaysia) Sdn. Bhd. ; and Oita Canon Inc. in southern Japan. Production of EF lenses surpassed the 10-million mark in 1995, doubling to 20-million units in 2001. After reaching the 30-million-unit milestone in 2006, Canon celebrated the production of its 40-millionth lens in April 2008. 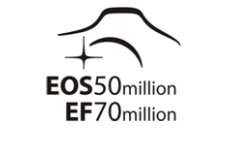 Owing to the rapid spread of the EOS Digital series of digital SLR cameras, production for Canon’s EF lenses then gained momentum to reach the 50-million-unit milestone in 2009, followed by the 60-million mark in January this year. And just nine months later, the EF series is expected to reach the 70-million mark in late October. Canon’s EF lens series was first introduced together with the EOS SLR camera system in March 1987, and has over the years led the industry through the incorporation of a number of innovative technologies, including such world’s firsts*1 as the Ultrasonic Motor (USM) for use in lenses, Image Stabilizer (IS), Subwavelength Structure Coating (SWC) anti-reflection technology, and a multi-layered diffractive optical (DO) element. Canon’s current EF-lens lineup, comprising 66 models,*2 ranges from super-wide-angle lenses to super-telephoto zoom lenses. The diverse lens selection includes an array of zoom lenses, Image Stabilizer-equipped lenses, large-diameter lenses, macro-lenses and TS-E lenses incorporating a special tilt-shift mechanism allowing manipulation of image perspective and distortion. This year, Canon released such EF lenses as the EF8-15mm f/4L Fisheye USM—the world’s first*1 full fisheye zoom lens with angle-of-view coverage from 180-degree circular fisheye to 180-degree diagonal fisheye—and the EF300mm f/2.8L IS II USM and EF400mm f/2.8L IS II USM telephoto lenses. Canon will continue to refine its diverse imaging technologies based on its core optical technologies, striving to produce exceptional and reliable lenses and cameras that cater to the varying needs of photographers—from first-time users to advanced amateurs and professionals—while contributing to expanding the culture of photographic and video imaging. This entry was posted in Brand: Canon, Photography Articles & Videos, Uncategorized and tagged Canon, DSLR, EOS, Lens. Bookmark the permalink.